PROGRAMMING/BIOINFORMATICS: Part II of a outline guide to setting a Mac OS X machine up for a web server database using Mac OS X 10.6.x, MySQL and Perl. Originally intended as one long document, I have broken this into several parts to better suit my time. Part II focuses on installing the modules the Perl programming language requires in order to interact with the relational database, MySQL, and setting up the first (empty) database and where to place your WWW files and scripts. These instructions do not consider Mac OS X Server, which has a slightly different setup for MySQL. Part I covers installing MySQL. CPAN is the comprehensive perl archive network, basically a collection of more perl modules that you could believe existed. Although you can manually download the modules and install them, it’s easier to run CPAN from the command-line perl, especially if you already know what modules you want to install. You will almost certainly be invited to update CPAN.pm; if so, do that now. Generally it’s best to accept the offer to do the update automatically. That last step *may* give you some grief, as the testing portion of it requires access to a running MySQL (hence starting it in an earlier step and leaving it running). See footnote . 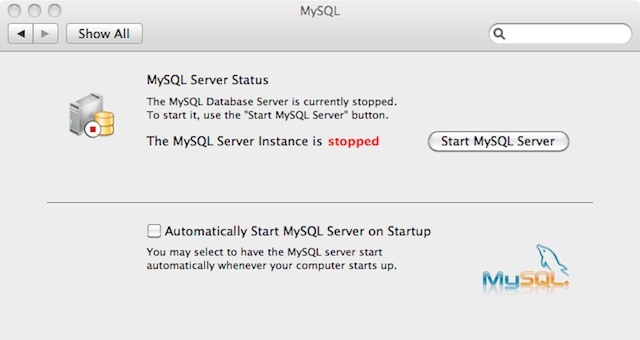 Installing the first database into MySQL follows are particular series of steps; you can’t just jump in. You will be best to limit database names to alphabetic (or alphanumeric) characters and underscores in the interests of portability. Now turn the database server back on. Access the new database and set up ordinary (non root) access should you want this, e.g. or via perl scripts owned by that user. You’ll note that the latter is subdivided into CGI-Executables, Documents and share. In the next part of this series, we’ll look at configuring the web server. These notes are–self-evidentally, I hope–only a sketch outline, but I hope that they serve the majority of users. The first step generates a makefile, that the next three steps use. If you need to start over, use make clean to tidy up loose bits lying around before trying again. You’ll want the database to be up and running, of course, so that the testing code can access it. If none of these work, you’re best to ask around.